This is a picture of Eren i drew a while back ... what do आप think? This is my first time लेखन an fanfiction so please no flamesor bad comments. But I would reallylove it if someone would help me with this या at least give me some ideas. But less about that and और about how t he rp/fanfiction. And just for you, आप can make an oc character for the fanfic. 1-his या her first and last name? Reiner was shown using similar straight आगे tactics, I believe Eren remarks upon him using nothing but offense, could be wrong, been a while. and I was to lazy to संपादन करे anything :P. So yeah! ENjoy! The trailer for Shingeki no Kyojin/Attack on Titan S3... Is out! कहा release तारीख, दिनांक is July 22, 2018! 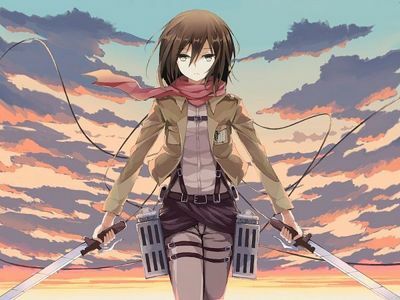 True या False: Levi and Mikasa have the same last name.